South of Dornoch I saw a sign to Meikle Ferry (no ferry) which raised a smile. 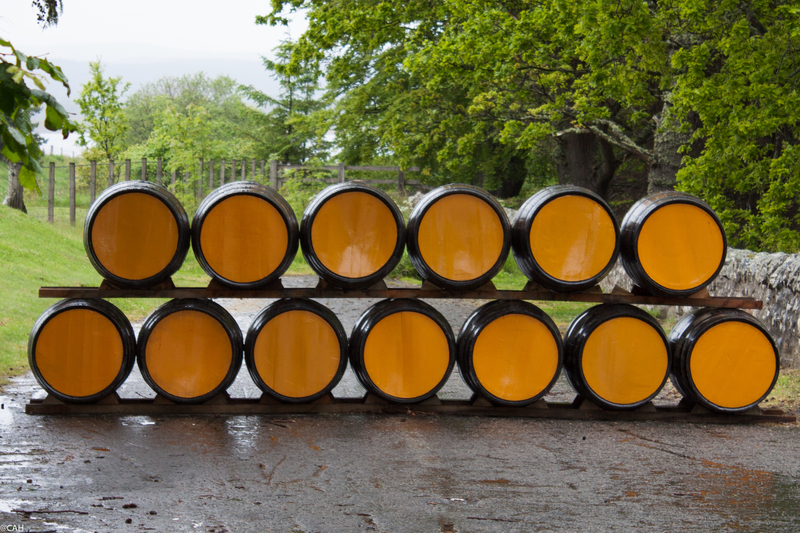 I loved the orange barrels at Glenmorangie. 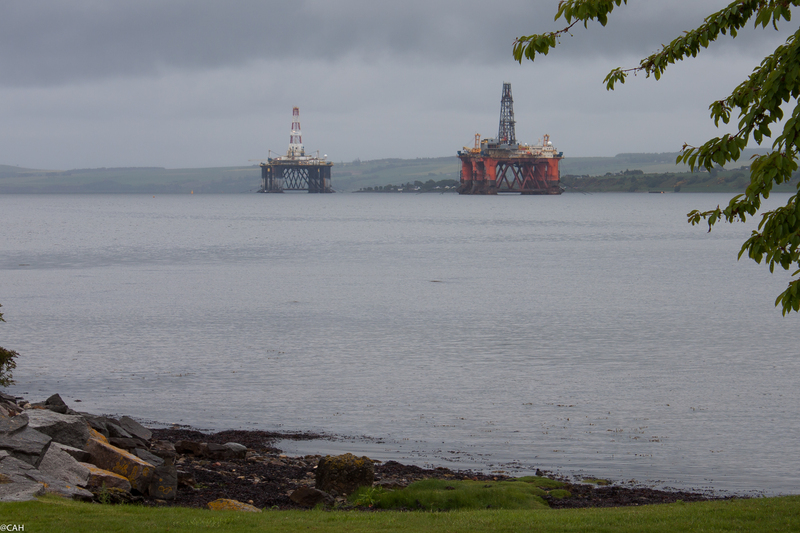 We visited Dalmore near Invergordon & afterwards had a brief rest by the firth. On the Black Isle we visited Glenmore and pulling uphill out of Inverness, Tomatin. Over the Slochd and Drumochter and we were back in Perthshire with even more trees. On the M90 south of Perth, there were lupins by the side of the M90, presumably a garden escape. Soon we were in Edinburgh for an overnight stop and a meal with friends we had not see for a long time. The following morning we left Edinburgh by the A7. 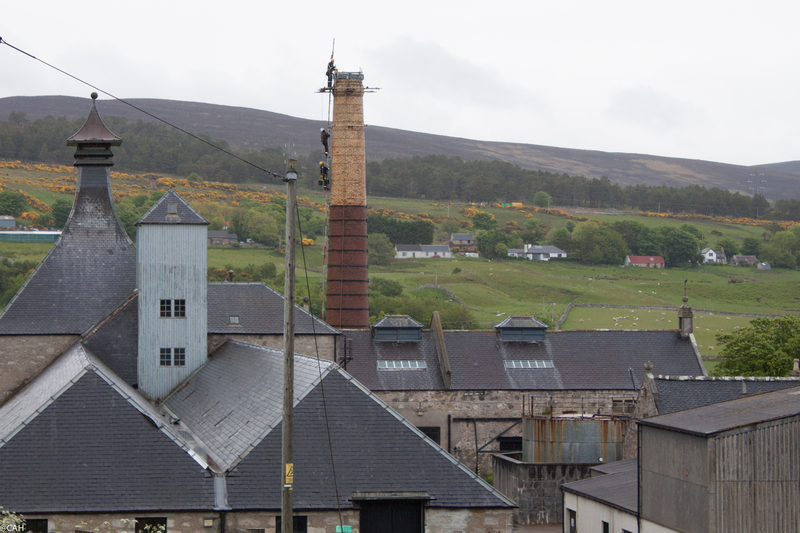 Since I worked in Midlothian, house-building in the former mining villages has exploded and one friend commented that he used to live in the country but now lives in a suburb. Festival time is in full swing and in Melrose the Borders Book Festival, a food festival and children’s’ football tournament were underway. We continued on via the A68 and over Carter Bar. In the Kielder Forest I spotted two roe deer hinds feeding but no red squirrels despite the warning sign. We dropped down into the Tyne Valley via Bellingham which had a Scarecrow festival underway and crossed the river near Haydon Bridge. 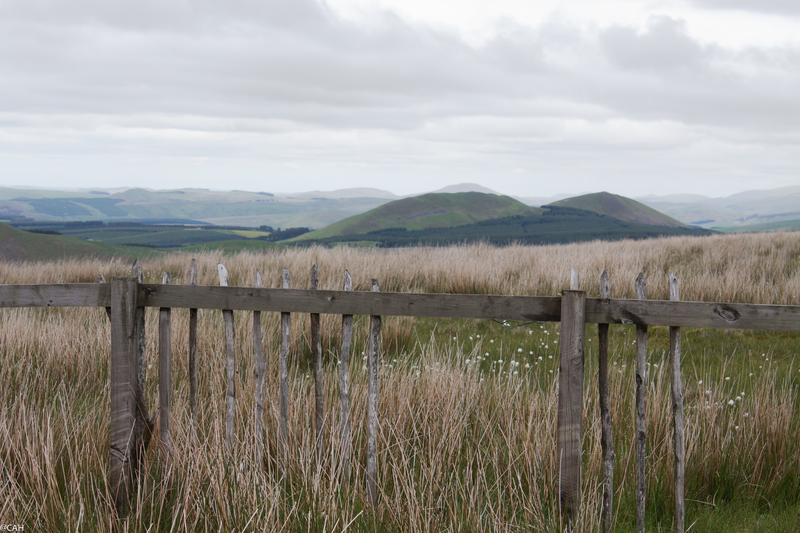 Very soon were heading uphill again and on Hartside Summit where the cafe at 1,903ft is the highest in England. There were plenty of bikers and amazingly on our descent, we passed people cycling (or trying to cycle) up to the summit. We joined the M6 at Penrith and had a fairly easy run down as far as Junction 19 where everything slowed down. A Polish registered car was braver than us and drove down the hard shoulder to the exit. Once we reached it, a bit of local knowledge enabled us to get home fairly quickly.